Paul Cowgill of Driveline Golf said it better that we ever could. "After we started working with Loaded Dice the number of enquiries we received from our web site more than tripled." This is a short list of some the projects we've worked on, that we believe have taken us in the right direction. When we were asked to do a project for Kulek Homes we were asked to do something that 'didn't just look like another foreign property site'. Simple clean lines and a lot of clear space makes it easy for the user to focus on what it is they're interested in, that being, the areas in Turkey, and the properties in Turkey our client has for sale. We're always proud when a new customer comes to us through a recommendation of an existing customer, and this was the case with MDS Lomar UK. A bright new company who import screeding machines into the UK from Europe. If you don't know what a screeding machine is, check out their web site. When the University of Hertfordshire wanted simple straight forward web based marketing for their online computing courses, they came here. The new term wasn't too far away, and it had to be done quickly. This site was created from scratch in a week of being given the go-ahead. The Site was written to be 'Search Engine Friendly' but we then performed some further work on on search engine strategy, including locating prospective search terms, and increasing the page rank within sites such as google. The site now ranks number 1 for searches such as online computing course and online computer science bsc as well as ranking for a host of other things. The festival of the arts in Stevenage. This web site was created to promote this fortnight long event throughout the year. The No. 1 Music Venue in Hertfordshire - It's official - just ask Google. North Hertfordshire's Independent Music Venue. We integrated this site with doowit.com, making updating the gig list a cinch. Quality IT Recruitment wanted a promotional site that put across the company ethos. IT Recruitment run by IT professionals. Quality people, and Quality people to do business with. A Stevenage based what's on guide. A sort of 'Time Out' on the web, with the added bonus that events can be added to the database directly by the public. A small company delivering circus workshops as well as juggling walkabout and performance, focusing on fire and illuminated shows. Driveline wanted a system where they could enter the data into the site themselves. After we started working with Driveline, the number of enquiries they received from their web site more than tripled. We don't think we can say more than that. We worked with ARC, and their client Sparc, a London based consultancy, developing a simple, effective tool for information sharing, and archiving to aid 'Communities of Practice'. A database driven site for multiple users with a few Flash animations to spice it up a bit. Possibly the biggest shower manufacturer in the UK. We worked with Tritons advertising agency to create an attractive web site with e-commerce in mind. The web site encompassed these ideas, using photographic images, animation, and a database which allows secure ordering on-line. The makers of Pedigree Chum and Whiskers required a high quality presentation tool, for delivery via a lap top. This meant that we didn't have to worry about internet bandwidth issues, and they got something special. Mauser wanted a web site that would reflect the quality of their products and their organisation, whilst allowing them to communicate on a regular basis with their customers. As you'd expect from Loaded Dice, they got exactly that, with a clean fast web site that concentrated on style and imagery. 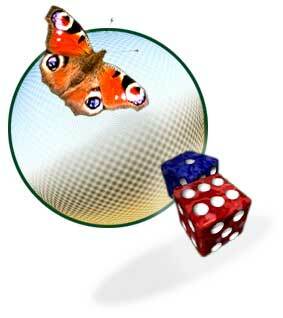 A juggling and circus skills group site which has to cater for both their members, and clients. Of particular interest is a custom programmed picture gallery, and diary database updatable securely though a web interface by the groups own administrator. What's Got 3 get over 90% of their new members via their web site. By some strange freak occurrence, also currently number 1 in google for 'what's on in hertfordshire' but we have to concede that was an accident.